Looking for private in-home or in-studio Flute lessons? Our Ft Mitchell teachers are ready to get you started. Find your teacher today! Check out some of our most popular teachers near Ft Mitchell, KY including Cincinnati, Dayton, Mason, Hamilton and Covington. I have a B.S. in Music Education. I have worked with several disabled students patiently guiding them, finding creative ways to make music accessible to them. I believe it is not about me or the parent, but the student. I work with children of all ages believing that we can find a way that works so that in a few months you see results. Anyone can learn to sing or play but not everyone is going to enjoy it without the right approach and teacher. I don't want to hear a student say that the teacher didn't listen to me, they wouldn't entertain my ideas. In my studio I have a studio piano and a keyboard. We have monitors and microphones and the ability to record. I encourage the composer to the pop music player, from the classical artist to the Broadway singer. ng one of those students to become a copyrighted artist. For the child I have had the most success with the Bastien method and for the Adult pianist I usually use Alfred's method books. I constantly have access to musicnotes.com to download any current or older hit in addition to the method books. I want you to learn to note read and then to play by chords. I never want the student to lose their creative, artistic ability. They should feel welcome at all times to add input to the lesson. I want you to have fun learning and find the ability in you to make music. Please contact Takelessons if a time does not suit your availability. I may be able to work something out. Great teacher! She was able to teach my daughter in 3 lessons what her band teacher couldn’t do in 6 months. My daughter walked away after her first lesson excited and couldn’t wait for her next lesson. You can tell Charis loves what she does. The lesson would have been better if I were not so nervous and played better. I've played flute for about 6 years and enjoy teaching beginners and intermediate players. I am a very experienced flute player and teacher with many years of experience. I am currently a senior studying flute performance at the Jacobs School of Music at Indiana University, and I am very understanding and helpful in lessons. I try my hardest to explain things in as many ways to help students learn individually, as every student learns in different styles. Hello! I am currently in my first year of my Masters at NYU where I am studying flute performance, where I am studying under Soo-Kyung Park. I am also an Adjunct Instructor at NYU, where I teach undergraduate NYU students private flute lessons. I recently graduated from the Indiana University Jacobs School of Music this past May, where I received a Bachelors Degree in Music Performance with a minor in art history. While at IU, I studied under Kathryn Lukas and participated in various ensembles and concerts, focusing mainly on chamber music. ng the piano for 18 years. I also play the piccolo, alto flute, bass flute, clarinet, and the guitar. I have been teaching the flute for over 8 years. I have taught students of all ages and levels. I also have worked with high school students in assisting with flute sectionals through the band program. I am experienced with a large variety of styles, and I am open to exploring different types of music. My goal is to give students the ability and resources to grow to become an overall musician. I work hard to find out how different students learn, and I adjust my teaching style to fit different learning needs. I aim to help students find a passion in playing music, so I try an find out what interests a student and work to incorporate that into flute playing. I am very encouraging and enthusiastic in my teaching. Beautiful flute player and teacher. My daughter loves taking lessons with Sara! I was very skeptical at first about doing online lessons, but I'm very pleased with how the lesson went. Sarah really took the time to listen, and she is very patient. She helped me so much even though I am a beginner, and she showed me how to get better on my own as well. Mandy S. is an avid performer and teacher of flute currently residing in Tampa, Florida. She is an adjunct instructor of flute at Hillsborough Community College in Ybor City, Florida and is a highly sought after middle and high school flute clinician in the Tampa bay area. Additionally, a strong enthusiasm for flute instruction has led Mandy to maintain a private flute studio with students of all ages, offering both in-person and virtual lessons. She has taught numerous masterclasses in Florida and North Carolina. Her students have proved numerous successes in festivals, honor bands, and competitions at the county, district, and state levels as well as college auditions. 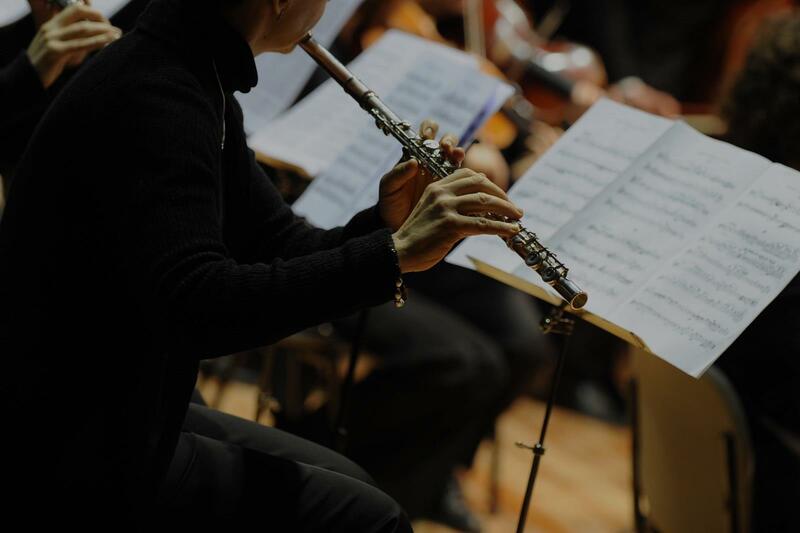 Furthermore, her passion for music education has sparked particular interest in researching and creating pedagogical and instructional techniques to assist the developing flutist. With a strong passion for collaborative performance, Mandy has participated in cross-disciplinary performances in the arts and has founded various chamber ensembles. These chamber ensembles include:The Elm Street Duo (flute and horn), Euphorbia Duo (flute and clarinet),V3N Trio ), and The Heights Consort (chamber ensemble). Participation in these ensembles has led to commissioning projects, unique performance opportunities, and continued inspiration in collaboration. Additonally, Mandy performs with professional ensembles in the Tampa Bay area including the ,Tampa Bay Symphony, Florida Wind Band, and South Shore Symphony. Her collaborative experiences in all mediums have led to international performance opportunities in Italy, Austria, and Czech Republic. I really enjoy flute lessons with Mandy. She is patient and encouraging, but also suitably challenging. She has helped me improve already. I’m even enjoying scales! I have been teaching the flute privately for over 10 years. I have taught students as young as 5 and as old as 65. I attended the University of Akron (2010-2012) for my Master's Degree in Flute Performance and Kent State University (2006-2010) for my Bachelor's Degree in Flute Performance. I have performed as a soloist at different events, in small chamber groups, bands and orchestras. Flute lessons with me will include a lot of learning, with smiles and laughs! I love to have fun, but yet stay on track and be productive. I love to personalize each lesson for every students because everyone learns differently. As a faculty member of the prestigious Manhattan School of Music Precollege, Max has been teaching students of all ages and skill-levels for over 15 years. With his sheer passion for music and extensive teaching experience he is able to inspire his students to achieve their goals, in a fun and supportive environment. Max is a firm believer that a positive learning experience is achieved by creating an environment in which the strengths and differences of each student are celebrated and encouraged. All lessons are tailored to the individual student, according to their goals, musical tastes, and skill-level. Instruments and skills taught: saxophone, flute, clarinet, jazz piano, music theory, composition, song writing, ear-training, electronic music production with Ableton Live. Drawing from his wide experience as a performer in various genres, Max is able to teach a broad range of styles, from jazz, classical, to pop, electronic, and World Music. Hi, my name is Max. I have been teaching for over 15 years, teaching a range of instruments from saxophone, clarinet, and flute, to jazz piano. I also teach music theory, ear training, song-writing, and electronic music production. I teach students of all ages and skill-levels and hold a Masters degree in jazz saxophone performance from Manhattan School of Music, where I am currently on faculty to teach Music Theory and Eartraining at the Precollege Division. I also direct the jazz band at Gill St. Bernard’s School in New Jersey. they are having fun in the process. Besides playing and teaching the saxophone, I also teach the clarinet, and flute, as well as music theory and electronic music production with Ableton Live. From my wide experience as a performing musician I can teach in a variety of genres, including jazz, classical, pop, and World Music. I have been fortunate to have taught students all over the world, including Singapore, Africa, and the UK, many times performing along the way. I have led my own band for many years, with performances around the world, and with which I have recorded numerous albums, which can be found on Spotify and iTunes. When I am not playing or teaching music I love to hang out with friends, be outdoors, and travel to places I have never been before. I look forward to meeting you and helping you realize your goals in music. Great instructor, he’s very knowledgeable and also patient when teaching. Highly recommend. My first lesson was extremely productive. I am an adult student and hadn't played in many years and Max focused on techniques to help me with my weaknesses, and to quickly surpass the level of playing I was previously at. He is patient, encouraging and an excellent teacher. Max is a fantastic teacher! As a parent I would recommend him to anyone who is looking for a very experienced, kind, and fun teacher. Max is all of these things plus more. What I really like about him, besides that he is very knowledgable and amazingly talented, is that he always has a positive attitude! Lila loves to go to her lessons and she learned so much during her time with Max. Just starting out on the flute, wanting to pick it up again, or trying to hone your skills? I'm so eager to help you reach your goals and to share my love of music with you! I currently study at The Juilliard School, and I love teaching and getting to know other flutists! I have performed around the world--from Carnegie Hall to concert halls in Europe and Asia--and have met so many fantastic musicians. All ages are welcome, and lessons are catered to the student's individual needs and goals. Flutist Mei currently studies at The Juilliard School in New York City under the instruction of Mr. Robert Langevin, principal flutist of the New York Philharmonic. Mei attended the Interlochen Arts Academy in Interlochen, Michigan, for three years, playing flute, piccolo, and alto flute in a variety of ensembles, including the Syzygy Wind Quintet and a collaboration with Grammy-Award-winning ensemble eighth blackbird. st with “The President’s Own” United States Marine Band as the winner and scholarship recipient of their 2016 concerto competition. As the grand prize winner of the 2018 Pearl & Julius Young Concerto Competition, she will perform as soloist with the Baroque Orchestra of New Jersey in 2019. Mei has been featured on NPR’s From the Top with host Christopher O’Reilly, and she is also a 2016 Jack Kent Cooke Young Artist Scholarship recipient as well as a 2016 and 2017 National YoungArts Foundation winner. Currently, she is principal flutist of the New York Youth Symphony and performs in the Juilliard orchestra and various chamber groups, including AXIOM, Juilliard’s new music ensemble. Outside of music, Mei enjoys reading, baking, and running marathons. Can't find a teacher in Ft Mitchell, KY? "John was very good w/me. He knows my goals & was able to help me. He gave me some practice sheets. I will do that everyday."